AMR is a recognized leader in 911 emergency ambulance services and interfacility transports and the trusted provider to some of the largest metropolitan and suburban communities in the nation. 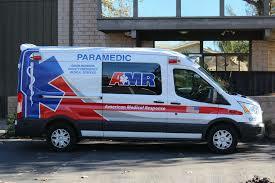 AMR Orlando’s certified paramedics and emergency medical technicians arrive on the scene with the skills and expertise to rapidly administer care, coordinate with on-scene first responders, communicate with emergency department physicians and transport patients to the most appropriate facilities. Our investment in leading-edge technology systems, innovative business models, standardized business platforms and industry best practices make AMR the smart and logical choice for the Orange, Osceola and Seminole county’s market. Rigorous, high-performance service standards set the bar for continuing advancement, while at the same time solidifying the quality and value of our services. AMR Orlando is independently accredited by the Commission on Accreditation of Ambulance Services (CAAS), universally recognized as the gold standard for EMS services.